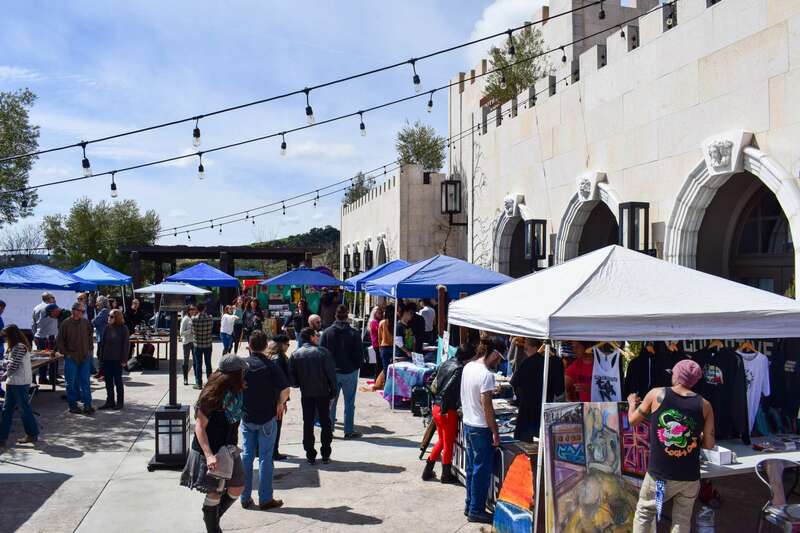 The sound of banjo strums, banging drums and clinking wine glasses filled Tooth & Nail Winery in Paso Robles as music lovers gathered for Central Coast Music Con March 18. 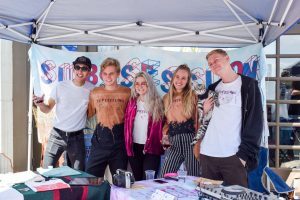 Music Con was not a music festival; the free event was geared toward people interested in learning more about the music industry on the Central Coast. Music Con had a business exposition, educational workshops, jam sessions, and local band merchandise to connect the local music industry. Every genre was represented at the event, from bluegrass to rock. Four student-run groups represented Cal Poly at the event: KCPR, Respect the Funk, Kappa Kappa Psi, and SubSessions. KCPR DJ Everett Fitzpatrick said it’s important that students show up in the local music industry to showcase their new ideas and creations. Kappa Kappa Psi, Cal Poly’s band fraternity, ran a “musical petting zoo,” where children had the opportunity try out different musical instruments. This is the second year the fraternity has attended the event. Cimo, a Cal Poly alum, was happy to see a large student presence at the event. This was not the case the first time they held Music Con. This year, the third time around, Cimo said students accounted for a “good chunk” of the effort at the event. Growing; unconventional; promising. When asked to describe the music scene San Luis Obispo in one word, these words came to students’ minds. Cimo said there are over 150 local bands on the Central Coast. That number continues to grow as students collaborate with musicians in the community. Physics freshman and Kappa Kappa Psi member Chance Potter said the music scene in San Luis Obispo has allowed him to grow as an artist this past year.